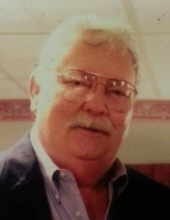 Michael Eugene Lingenfelter, 74, of Fulton passed away on Monday, November 26, 2018 at Boone Hospital Center. He was born on August 7, 1944 in Quincy, Illinois, the son of the late Charles Lingenfelter and the late Alena (Miller) Lingenfelter. On June 29, 1963, Michael was united in marriage to Rhonda Kay (Sheffler) Lingenfelter. She preceded him in death on May 15, 2007. Michael was a business man and owned and operated several Hardee’s restaurants in Mid Missouri. His hobbies included golfing, reading, and playing card games. He enjoyed traveling, especially to Key West, Florida with his wife, Rhonda. Michael was a member of St. Peter Catholic Church and a Life Honorary Member of Third Degree Knights of Columbus. His memory will be treasured by his daughters, Gina Gilman (Robbie) of Thompson, Angie Tevik of Fulton, and Wendy Lingenfelter of Fulton; grandchildren, Megan Metz (David), Michael Gilman (Mary Anne), Jennifer Taylor (Michael), Heather Ewing (Chance), Ashley Strong (Brett), and Kevin Bolton; and five great grandchildren. Mass of Christian Burial will be at 2:00 p.m. on Thursday, November 29, 2018 at St. Peter Catholic Church in Fulton with Father George Kramer officiating. Entombment will be in Callaway Memorial Gardens Mausoleum. Memorial donations are suggested to American Diabetes Association, c/o Maupin Funeral Home, 301 Douglas Boulevard, Fulton, MO 65251. To send flowers or a remembrance gift to the family of Michael Eugene Lingenfelter, please visit our Tribute Store. "Email Address" would like to share the life celebration of Michael Eugene Lingenfelter. Click on the "link" to go to share a favorite memory or leave a condolence message for the family.